Late on the evening of December 7th, Canmore residents Adrienne and Dave Hurst as well as Sandy Jollife, Deb Falconer and Jan de Bruyn returned from a development tourism trip to Guatemala. They went with Bev and Paul Carrick from the Embrace International Foundation (Embrace). The focus of the trip was to build a modest stable for a horse, a pony and sheep that will be used in a therapy program for autistic and Down syndrome children. These children are beneficiaries of a Guatemalan charity, CIPECADI (visit them on Facebook). This charity serves the needs of close to 100 special needs children in the Jocotenango region of Guatemala. It also supports the mothers of these children with both professional and material assistance. Unfortunately, most of these mothers are single parents and live in extreme poverty. Over 10 days these intrepid travellers from the Bow Valley built a stable, assembled 65 Christmas hampers (containing rice, beans, cooking oil, toothbrushes & toothpaste, personal hygiene items and coffee & tea) for the mothers of the CIPECADI children. 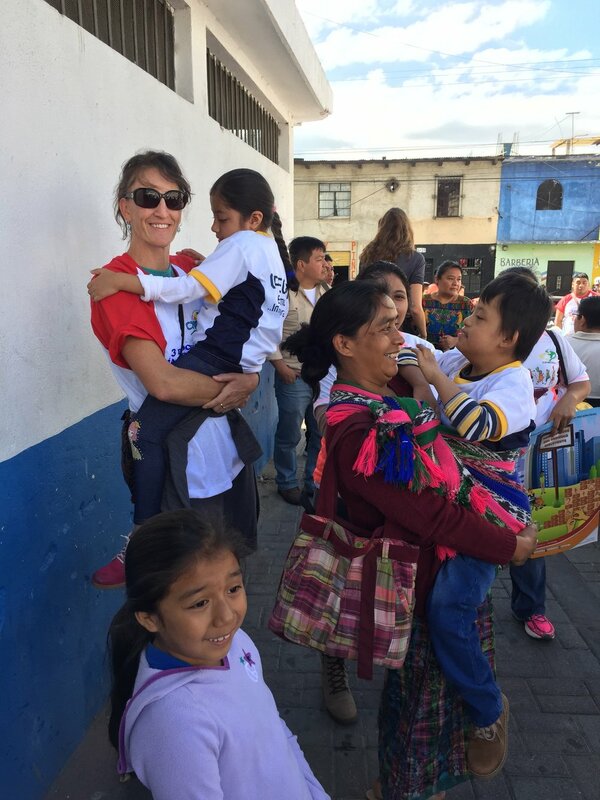 The also spent a good deal of time playing with the children and offering both hope and encouragement to the broader community of disabled people in Guatemala. And, on December 3rd, the United Nations Day for Disabled People, the group participated in 10K Run / 2K Walk in solidarity with disabled people. Dave Hurst and Deb Falconer ran in the 10K race while the other members of the group chose the less ambitious challenge of a 2K walk. Nonetheless, the entire team had a great day walking or running in solidarity with special needs children and their mothers.